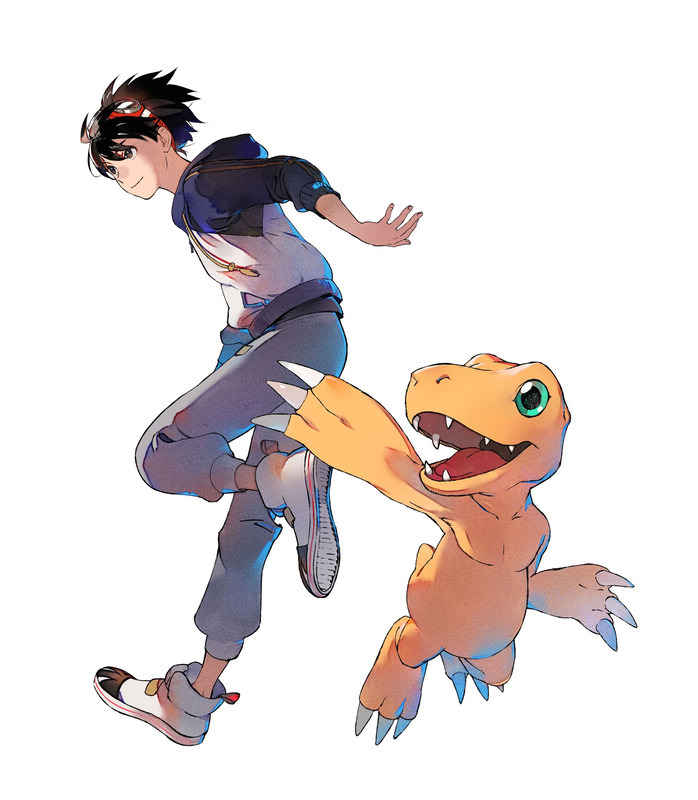 Bandai Namco released new information on the story and characters of Digimon Survive, the upcoming strategy RPG for Nintendo Switch. Full credit to Gematsu for the translation. 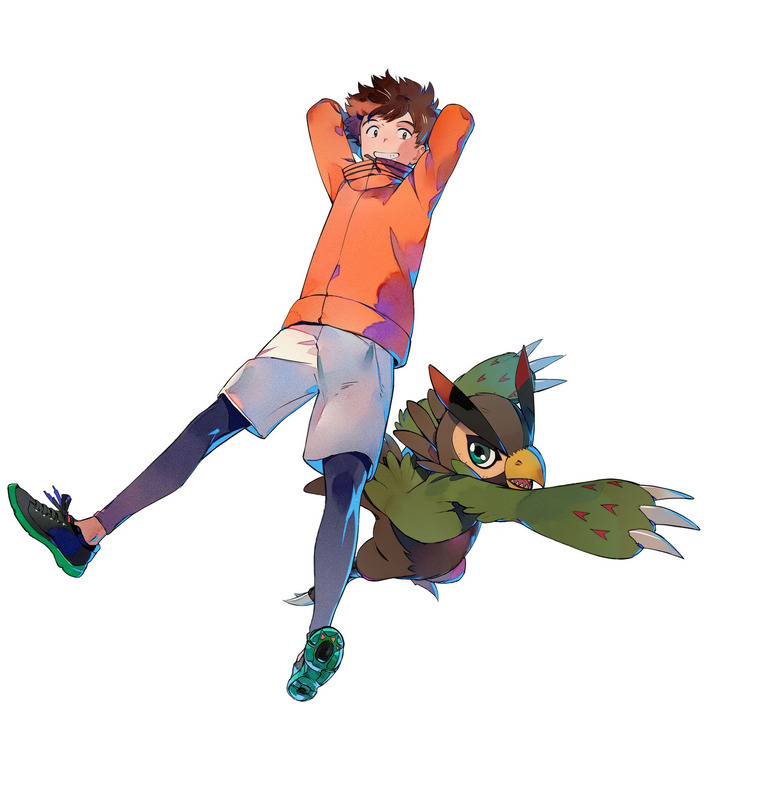 Takuma Momotsuka is a soon-to-be second-year middle school student who attends a historical studies extracurricular activities camp where students from several schools group up during spring break. On the second day of camp, Takuma, his friend Minoru Hinata, and Aoi Shibuya, a one year-older upperclassman from a different school, visit a shrine where a festival surrounding the local “Beast Gods” will be held. 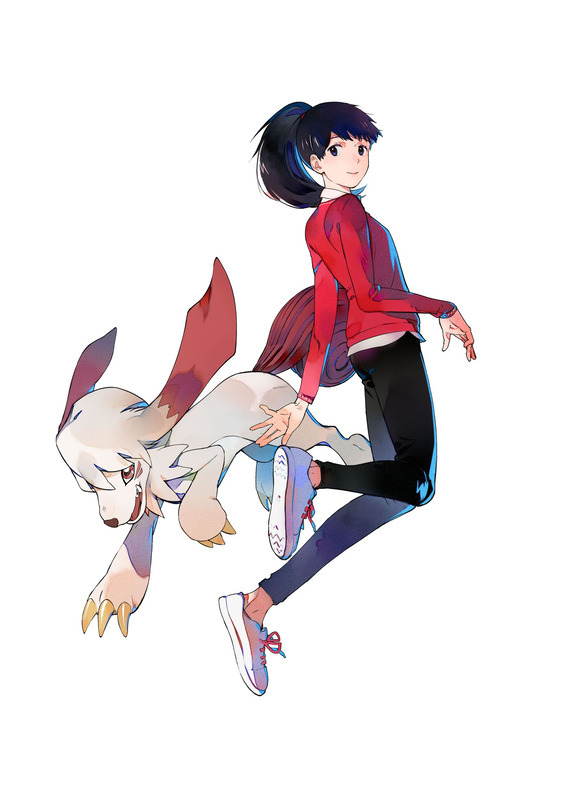 Takuma, who joined up with his camp friends and kids from his hometown on the way there, encounters a mysterious monster named Koromon while exploring the shrine. Immediately following, they hear a scream from nearby and run in that direction to find more of their friends attacked by different monsters. A second-year middle school student who comes from an extremely ordinary household. 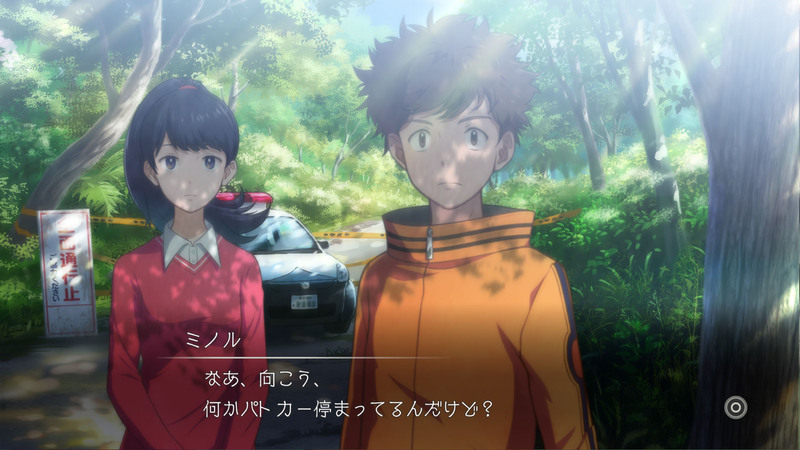 When he participates in a historical studies extracurricular activities camp and visits a shrine with a legend of mysterious disappearances, he suddenly finds himself lost in another world. A reptile-type monster similar to a small dinosaur. He encounters Takuma when he gets lost in a strange world. He will evolve into various forms based on Takuma’s influence. A third-year from another middle school participating in the extracurricular activities camp. She is a hard worker who does her best to deal with the unreasonable demands and complaints of her peers. She is usually quiet, rarely speaking. In the unknown world, she undertakes detailed work such as food management and base management, and she does it well. A beast-type monster similar to an actual dog. In contrast to the reserved Aoi, Labramon speaks directly. She and Aoi balance each other out and support one another in this unknown world. Takuma’s close friend and classmate, who participates in the extracurricular activities camp with him. He is an optimistic type who talks and jokes a lot. He is easygoing and can open up to anyone, but can also be unreliable in that he gets carried away and invites trouble. He does not like fighting with others, and tries to joke around to get a laugh as not to bump heads with anyone or anything. A bird-type monster that lives high in the mountains. In contrast to the easily carried away Minoru, Falcomon is level-headed and will support Minoru on his adventure in this strange world. 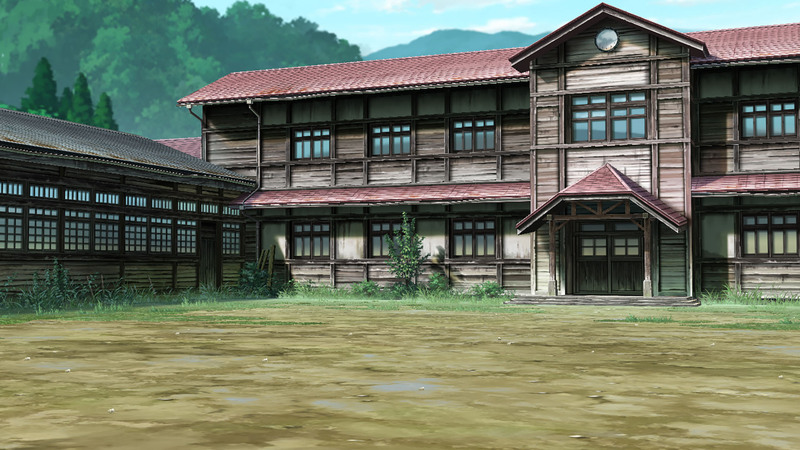 However, he can sometimes act wild to the point that Minoru has to stop him….